Require 10 credits to redeem for this voucher. You may opt for self collection at our office, please allow 3 business days to process the vouchers. 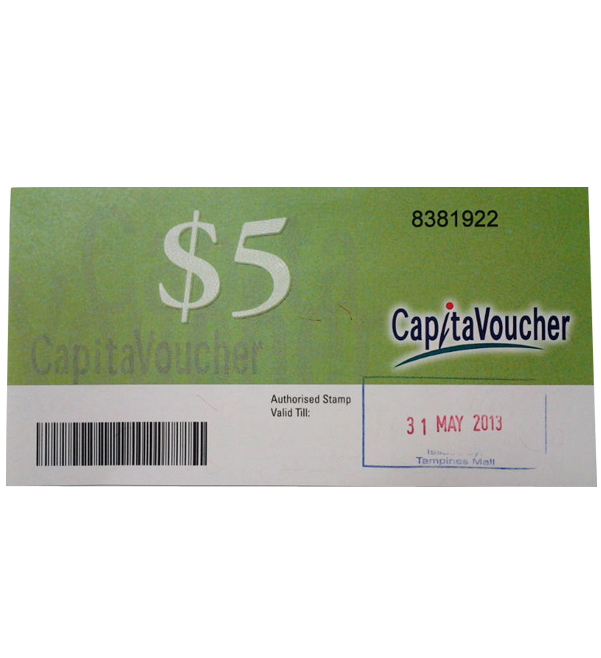 Alternatively, we can deliver the vouchers to you with an extra cost of $5.35. * Accepted at Robinsons, Isetan, Marks & Spencer, BHG, Cold Storage, Giant Hypermart, NTUC Fairprice, Best Denki, Challenger, Couts, Harvey Norman, Golden Village, Shaw Theatres & many more stores located in CapitaMalls.